Qualify For ‘Front Row GHOST’ Tickets And Meet And Greets, And VIP Passes For The Avanti’s Nutcracker! Yep, it’s go time! Here at the X, we have amazing Rock shows on the way!! 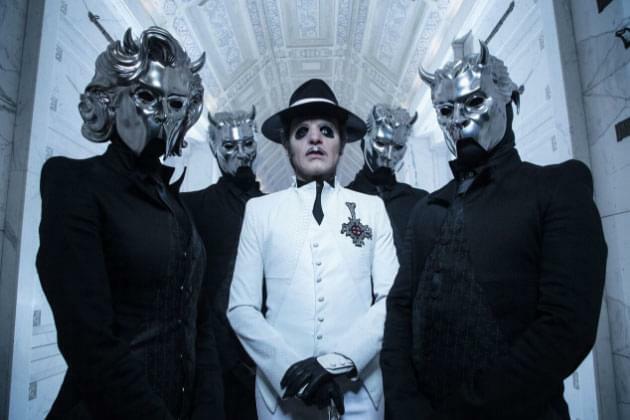 GHOST is here on Friday November 2nd for the ‘ALL GHOULS FREAK FEST!’ at the Peoria Civic Center Theater, and we have our 21st AVANTI’S NUTCRACKER on November 28th at the Monarch Music Hall featuring headliners, THE STRUTS! So, how about sitting in the FRONT ROW for GHOST? How about meeting GHOST? You can and a guest can do just that! And, to add to the fun, we are throwing in one pair of VIP Passes for the Avanti’s Nutcracker, where you get to see the show for free, and MEET The Struts, check out their sound check, and get autographs from them! Yep, you and a guest can experience BOTH! How do you win??? Caller X qualifies at 7am, 9am, Noon, and 4pm! Listen for the X Trigger to call for the “Front Row Ghoul For Ghost!” opportunity along with Avanti’s Nutcracker VIP! Listen….and qualify! Anna Kinkade will announce ONE GRAND PRIZE winner on Halloween, October 31st, at 5:20pm!! Good luck! Thank you Nite-Lite Productions, Avanti’s Italian Restaurants and Gone In 60 Escape Games, and the Monarch Music Hal! Let’s Rock Halloween, X Fans!